Dale Hayes Masonry, Inc. prides itself on its reputation for professional craftsmanship and commitment to the highest levels of quality for customer satisfaction. We strive to build lasting relationships with our customers and the communities we serve. Our continued dedication to superior customer service, unbeatable value, and unparalleled quality secures our company as a leader in the industry now and in the years to come. 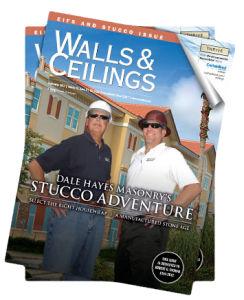 Dale Hayes Masonry, Inc. staff of professionals has over 100 years of combined experience in the construction industry, offering superior quality craftsmanship which is recognized throughout the Tampa Bay area, making our company one of the largest stucco, stone, and architectural trim contractors on the west coast of Florida. Our dedication extends beyond the completion of a project with our fully staffed warranty and service department. Moreover, we offer architectural trim shapes and stone ledges to compliment any stone project. Architectural trim and shapes can be the finishing touch to your commercial, residential, or custom project. We are also an exclusive contractor to many national leading Home Builders and are committed to excellence in every aspect of our work which is the reason for our continued success since our Establishment in 1974.